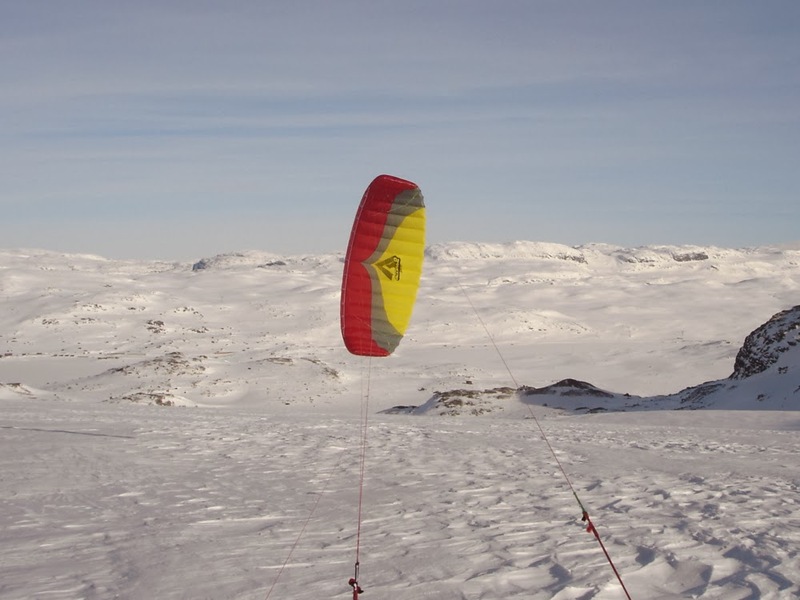 2009 is the first time I came to Finse for kiting as I do it regularly since - yet its not the first time I went there. So how did it all start? 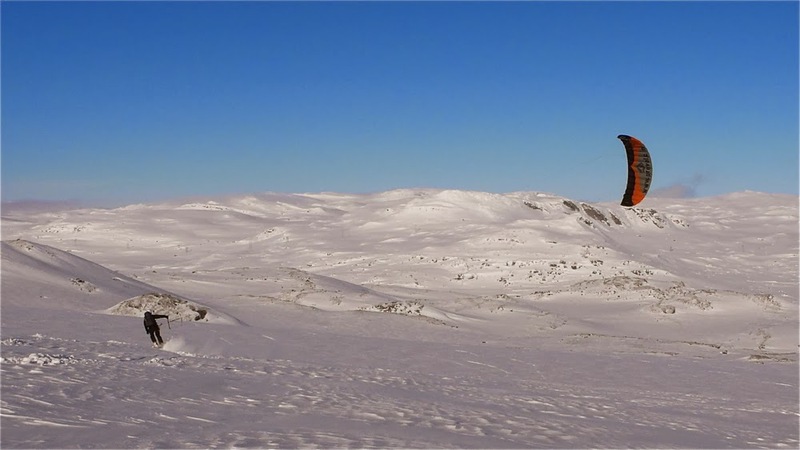 The annual trips to Finse - how did it start? 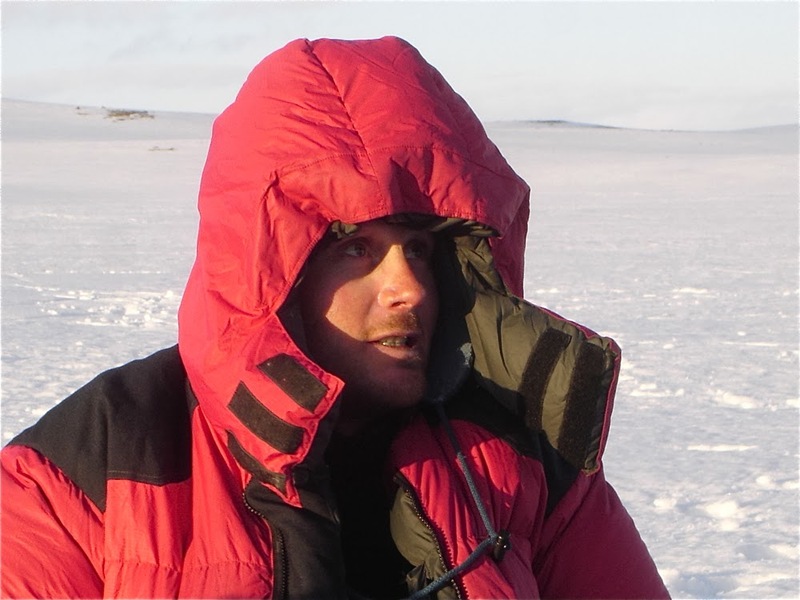 In 2006 I had just completed a crossing of Spitsbergen from Ny Alesund to Longyearbyen, including ascents of the two culminating points 'Perriertoppen' (1712 m)' and 'Newtontoppen' (1713 m). 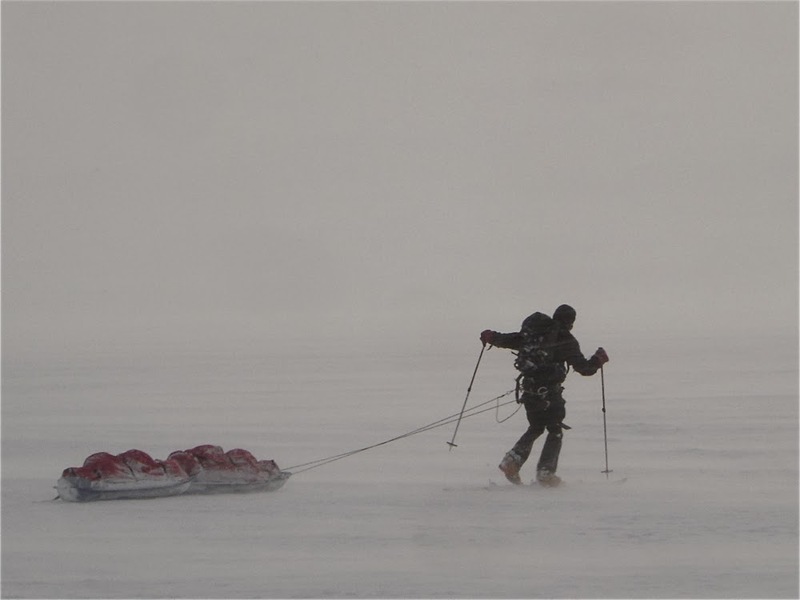 I was still under the strong impression of this expedition and longing for another polar adventure. At the same time, Aurelie, a friend of mine from the times in the ski touring club at the university of Grenoble was running a field campaign on the french polar ship 'Marion Dufresne'. And Mika, whom I did not know yet, was there as a field guide for guests on that same ship. Aurelie insisted that there was a guy I should meet. Back home, Aurelie insisted that there was a guy I should meet. When I wondered why, she explained that Mika was about to cross Greenland and building a team for his project. I must have responded that Greenland was all flat. And that I would never even think about a crossing, unless it was with kites, and south to north. I wasn't that serious of course, as even the classic east-west crossing appeared a monstrous challenge to me. 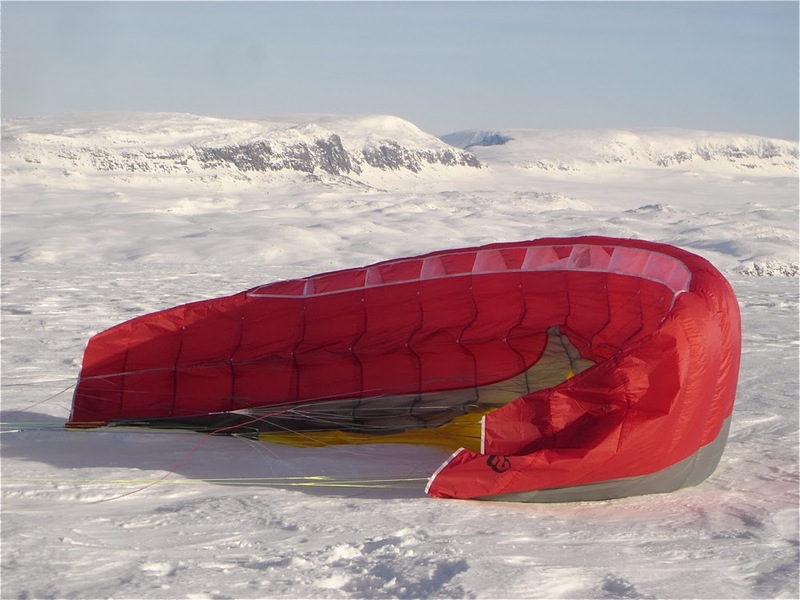 Mika was about to cross Greenland and building a team for his project. Thierry, Mika and Francis. 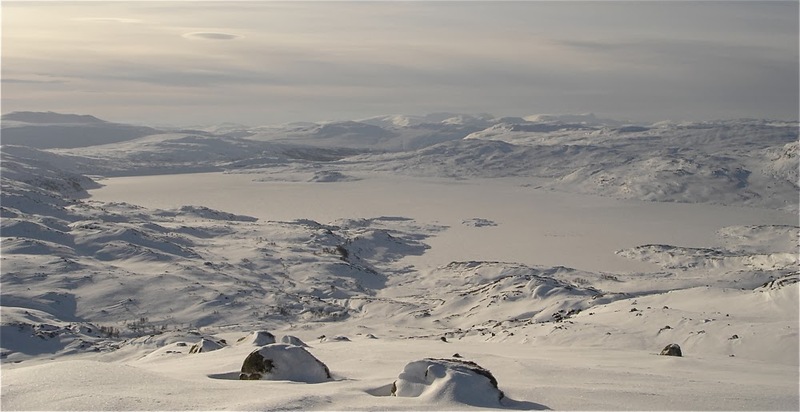 Hardangervidda 2007. But this is exactly what he is up to! Fast forward: April 2007. Hardangervidda, Norway. We had our own perspective of things. Mika and myself had sound experience in polar travel and were confident about the technicalities of the trip. Thierry had already made a number of Kayak expeditions, and Francis is an expert paraglider pilot. We only had to learn to kite! Only. 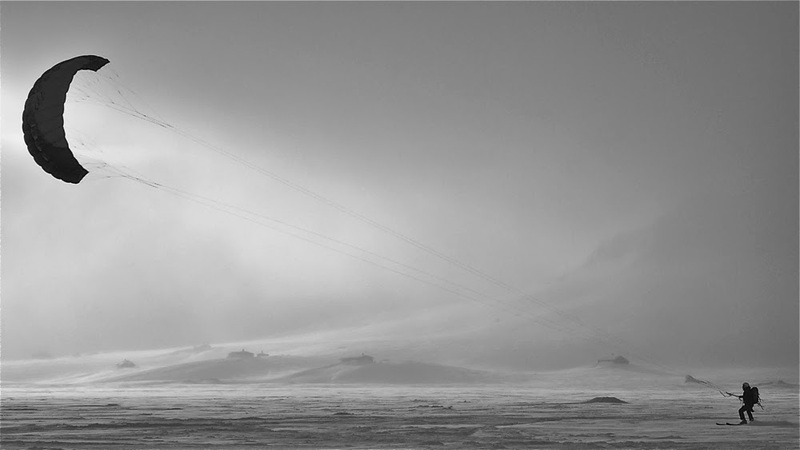 At this time, kites often were still considered simple pieces of equipment rather than a culture on its own in the polar community. 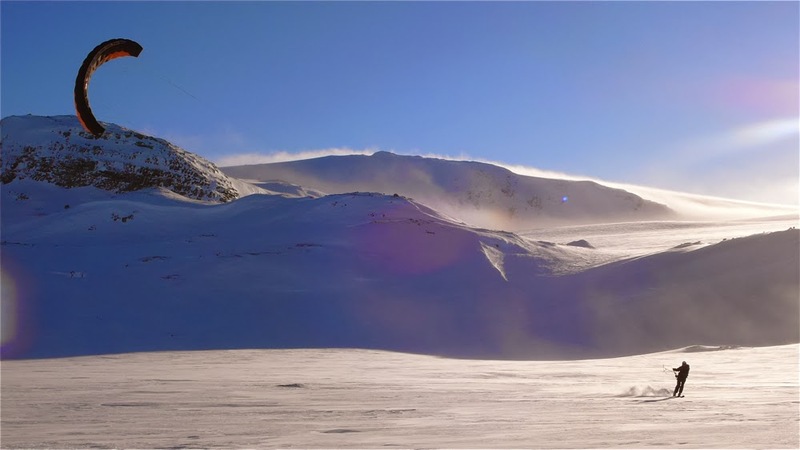 This is why, in 2007, Mika organized a trip to Hardangervidda to do our homework. from Snowsled Polar, our final choice. 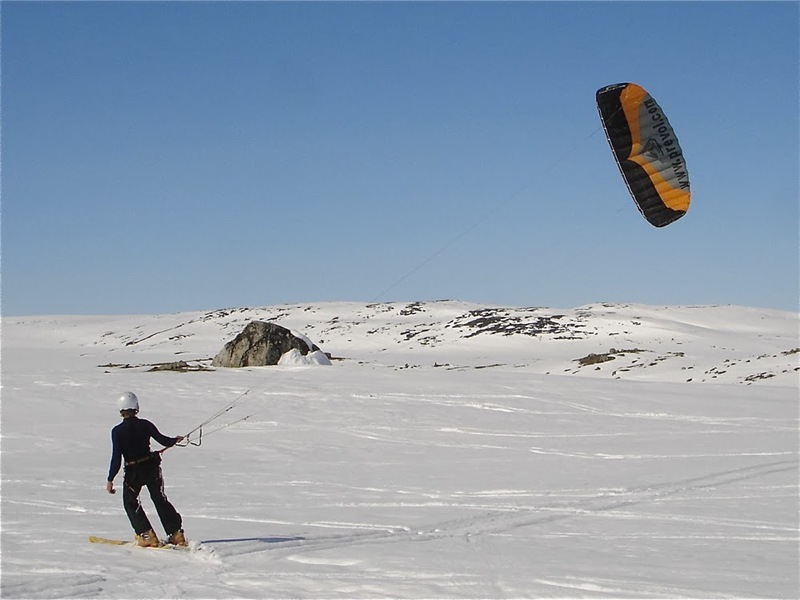 Our kiting skills were still rather basic, yet we were preparing to repeat the south north crossing of Greenland from Narsaq to Qaanaaq with kite and skis. A Norwegian team had stunned the polar community in 2005 making this crossing in record time. We absolutely wanted to do this trip. Mika who had already some experience, gets the hang of it. At this time, we were often still pulling the kites, rather than the opposite. Francis was a natural. The paraglider experience certainly helped. And sometimes the kites would fly us, instead of the contrary. We had followed a steep learning curve. 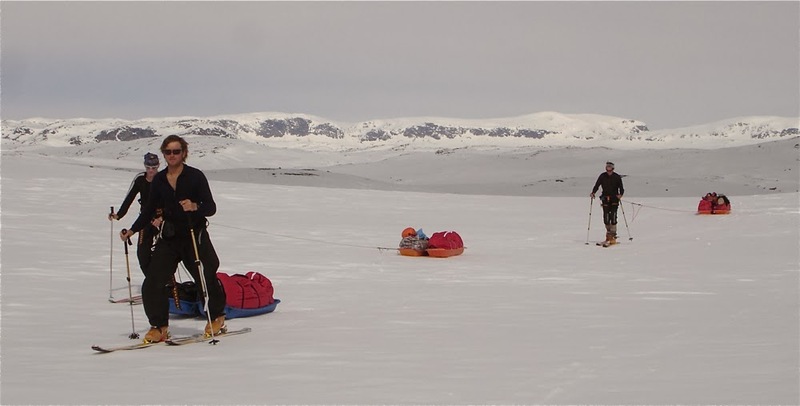 By the end of the trip we were able to progress together as a group and we were roaming the plateau with our kites and sleds. We had made the decision. 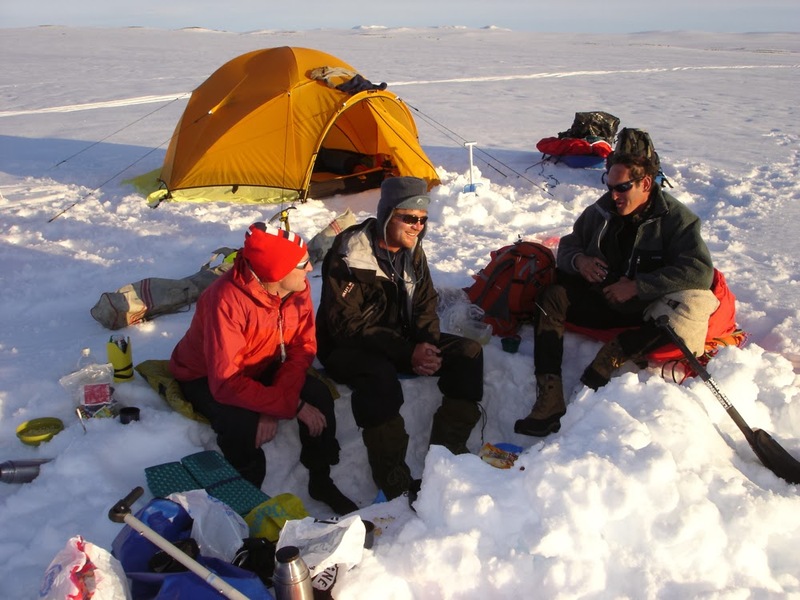 In May 2008 we would attempt a south north crossing of Greenland from Narsaq to Qanaaq in a team of three: Mika, Thierry and myself. Yet there were still a lot of things to learn and equipment to test. We chose Finse as a starting point and stayed several days there to learn to handle our new Parawings and take advantage of the spectacular landscape. 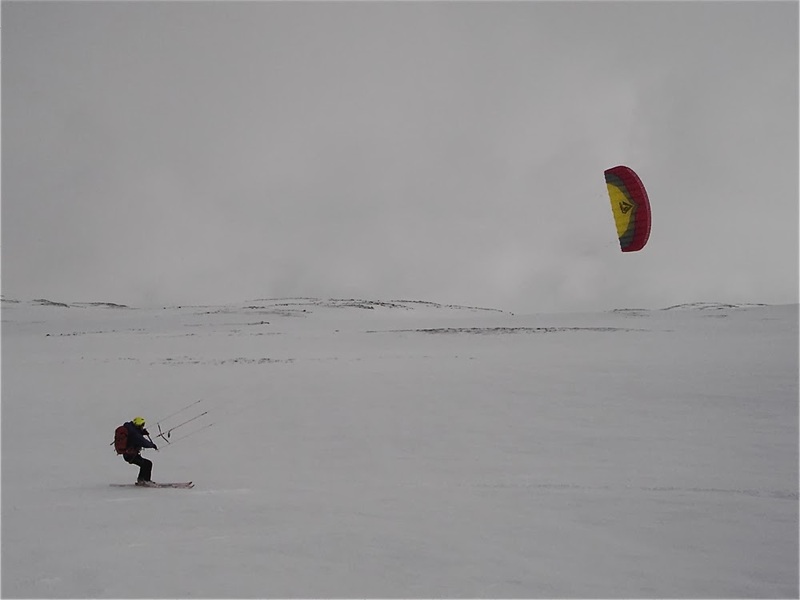 Kiting on Middalen glacier. We were beating upwind and uphill. 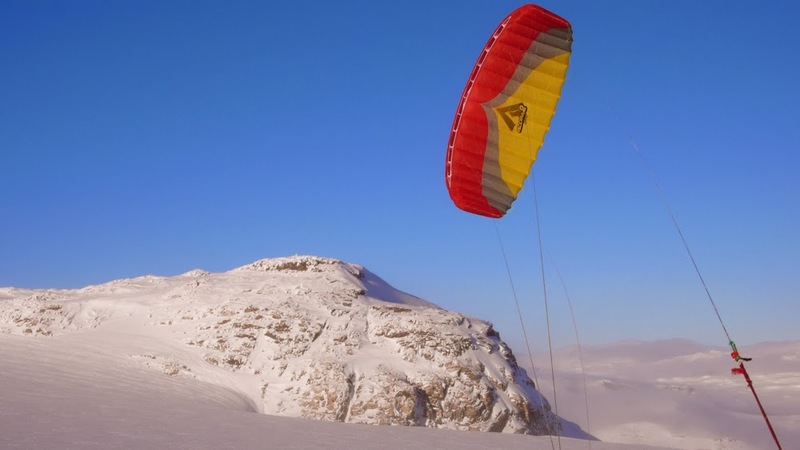 In 2008 we also made our first ascent of the Hardangerjokulen with kites - beating upwind and uphill on the Middalen glacier. (We later learned that this is not recommended, and that Blaisen and Austdalen are preferred). The first tim we kited up to the summit of Hardangerjokulen. And we set out once more to a short trip across the plateau. moment it was not raining. The weather was up to its reputation. A reason while many teams, historically and today,come here for training before a big polar expedition. Smyttenutane, view of Hardangerjokulen from the south. In 2008 we had realized our dream with Wings over Greenland. 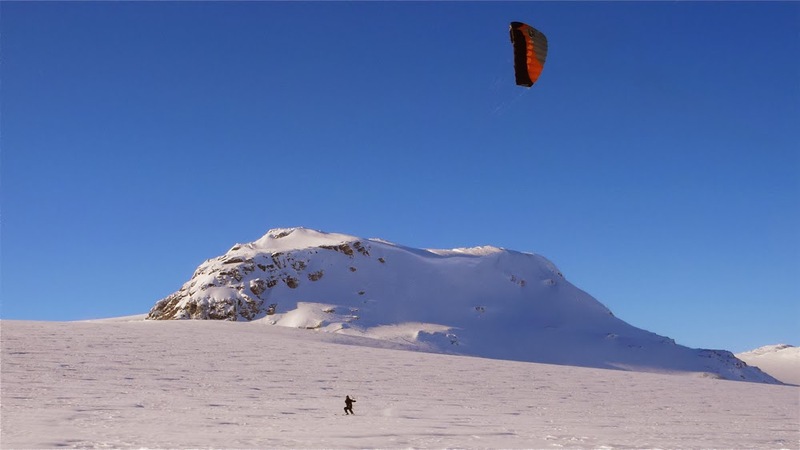 There were no new plans for another big expedition yet, but the desire to experience the freedom to kite in the seemingly endless open spaces we don't find here in the vertical world of the french alps. Mika with his Access II 10m2 on the slopes of Hardangerjokulen. We had only limited time, and we were tired of dragging the entire equipment for an itinerant trip though countless airports. 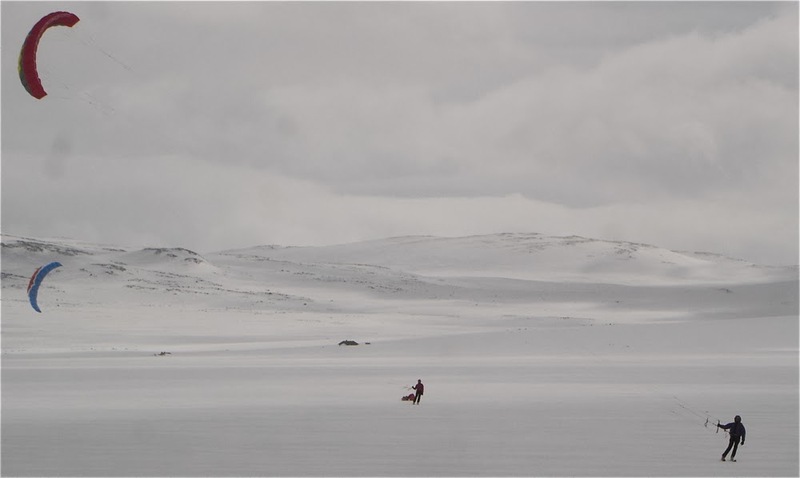 This year we would simply stay there and take advantage of the possibilities around Finse! Mika at the foot of Hardangerjokulen. It seems like having acquired a new habit.